» Download a Gift Card. » Send an e-Gift Card. 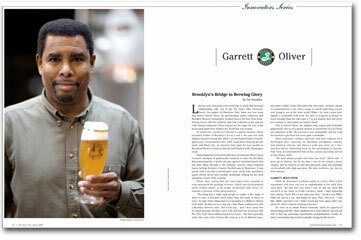 Delve into the world's premier beer magazine as it explores beer culture both in America and abroad. As you may already know, the beer industry is heading in a new and exciting direction. After years of swirling, sniffing, and spitting at wine tastings, the American public is discovering another way to enliven and tantalize the taste buds. 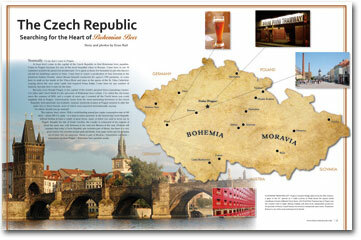 Craft and import beers have found their place with some of the most intricate and delectable creations of our time. Beer has also earned itself a place at the dinner table and it is now taking the lead in the culinary world as the finest accompaniment to the world's best cuisine. Finer dining establishments are featuring beer stewards who guide trendsetters to pair entr�es with the proper beers. 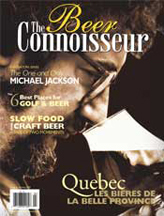 The Beer Connoisseur� Magazine is the leading authority of this rising phenomenon, with a goal of delivering the message to those who have yet to embrace this rich lifestyle. 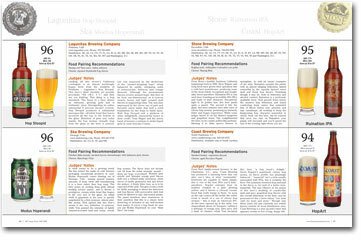 The reader will find magazine articles and unique content on craft beers and those who brew them. You may also expect in-depth beer reviews, the best in dining, cooking with recipes, international travel articles, brewery tours, industry personalities, up-close beer-style studies, culture and more.